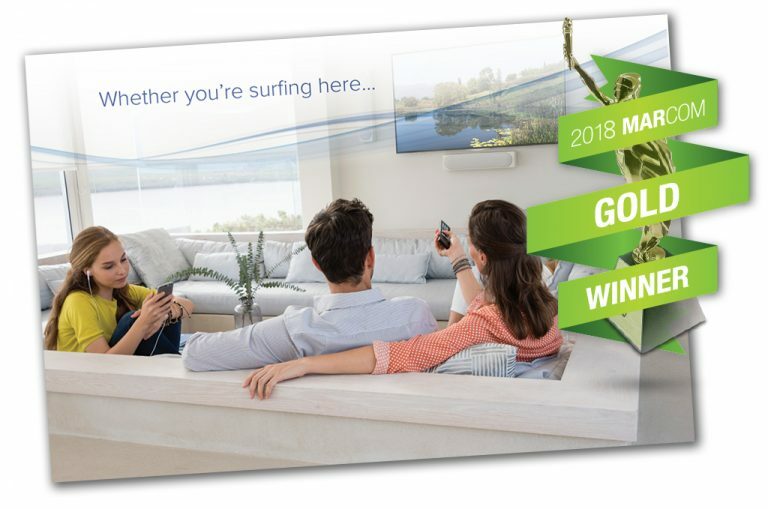 Verve Marketing Group is pleased to announce it is being recognized with the MarCom Gold Award in the direct response category for design of a brochure for the Beacon ProAct 200. The Beacon ProAct 200 is an automated sump pump alarm and monitoring system that proactively tests a homeowner’s sump pump system under actual use conditions. The system delivers fresh water into the sump pit weekly and sends alerts for specific problems in the system through an app on the owner’s phone or computer. The brochure is a direct to consumer piece developed for use by local plumbers to distribute to their customers. “We’re honored to be recognized for brochure design,” says Seth Guge, Creative Director at Verve Marketing Group. “The brochure concept taps into the concern many homeowners have with sump pump failure and flooding but in an approachable way,” says Guge. The MarCom Awards is one of the oldest, largest and most prestigious creative competitions in the world. The competition is sponsored and judged by the Association of Marketing and Communication Professionals (AMCP). The Gold Award is presented to those entries judged to exceed a high standard of excellence and whose work serves as a benchmark for the industry.